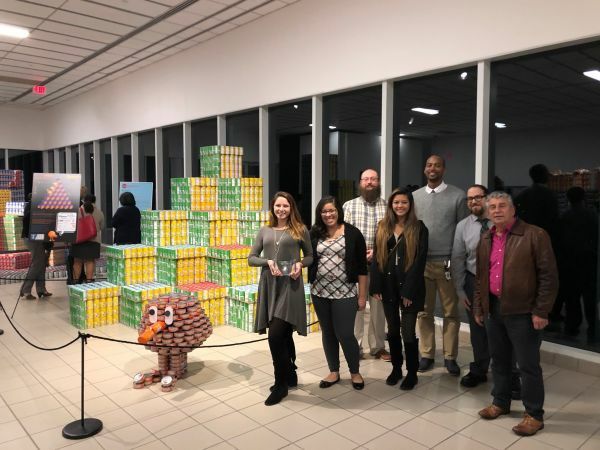 Canstruction is an international charity competition where architects, engineers, contractors and students design and build giant structures made entirely from full cans of food. The food is then donated to located food banks. This incredible organization has raised over 70 Million pounds of food to date for hunger relief. Our awesome team spent months of planning to ensure this year’s structure was a success. Thank you to our generous sponsors and fellow coworkers who helped donate their time, money and equipment to assist us in this great cause! We couldn’t have done it without everyone’s help! We are proud to have donated almost 5,600 cans!